Good day for all of us waiting for Sense 3.0 to be already on our screens! XDA members capychimp and rmk40 got the first 100% working ROM´s for HTC Desire HD and Desire Z, including their variants the Inspire 4G and G2. The weather animations are working smooth and general performance is quite good -tested on Inspire 4G- but as any first version some stuff must be modified to make it work even better. Remember to fully read the instructions before you start, it´s a delicate process. Welcome to our latest creation, Virtuous Fusion. It is the first fully functional, properly scaled Sense 3.0 ROM for the G2/DZ. Before going any further, it is important to note that Fusion is a different product than base Virtuous. The “Fusion” ROM will exist until Sense 3.0 has natively become available on our devices, if ever. Virtuous proper will continue to be updated and maintained as it always has been, following official HTC releases. Fusion was made possible by the amazing work of Flemmard and Diamondback, who reverse engineered the m10 format and built an encoder/decoder. 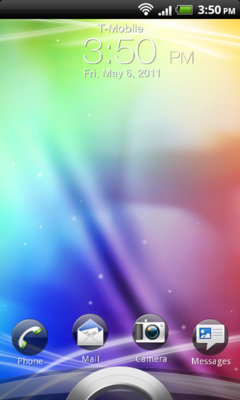 Continue to the Inspire 4G ROM thread. Continue to the Desire Z ROM thread. Thanks to TheDeadCpu for the tip!